The men of Stuart Hall donated items to fill 22 Thanksgiving baskets for families in need. The baskets, which included a turkey along with other items essential to a complete Thanksgiving feast, will be delivered to Incarnate Word's Head Start Program, Mater Dolorosa, our Carrollton Avenue neighborhood fire department, two Team Gleason families, and special members in our S/H community. 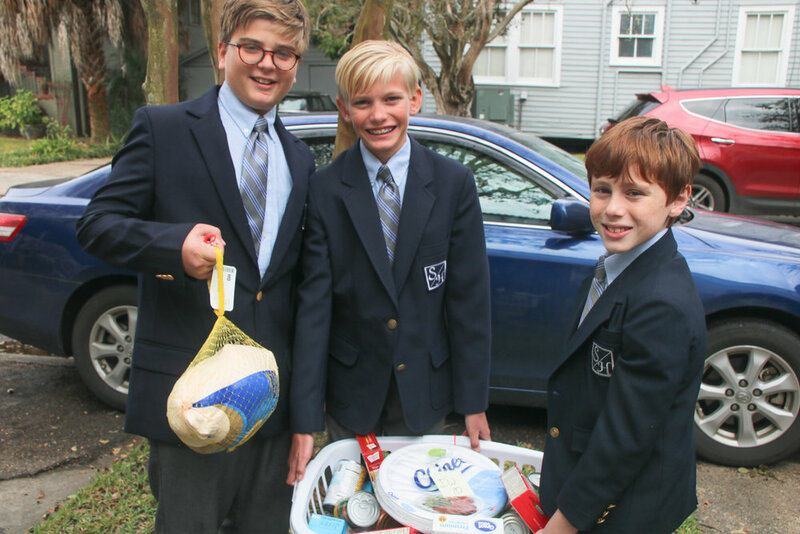 Thank you to our 5th grade class for leading our Thanksgiving Basket Drive and Prayer Service and to our S/H families for your generosity in ensuring that more families will be able to enjoy Thanksgiving this year.